Free postage on orders over £75 . International and next day delivery available. See more on delivery and returns or please use the delivery calculator at check out. 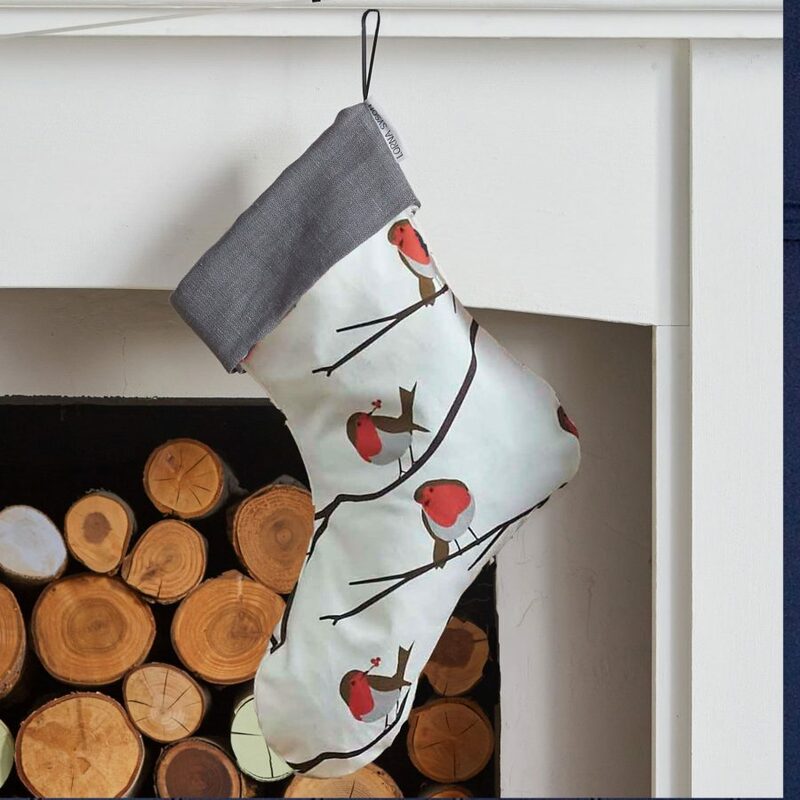 Christmas just isn’t Christmas without a stocking hanging on the mantelpiece or at the end of the bed helping to create that special excitement leading up to the big day. 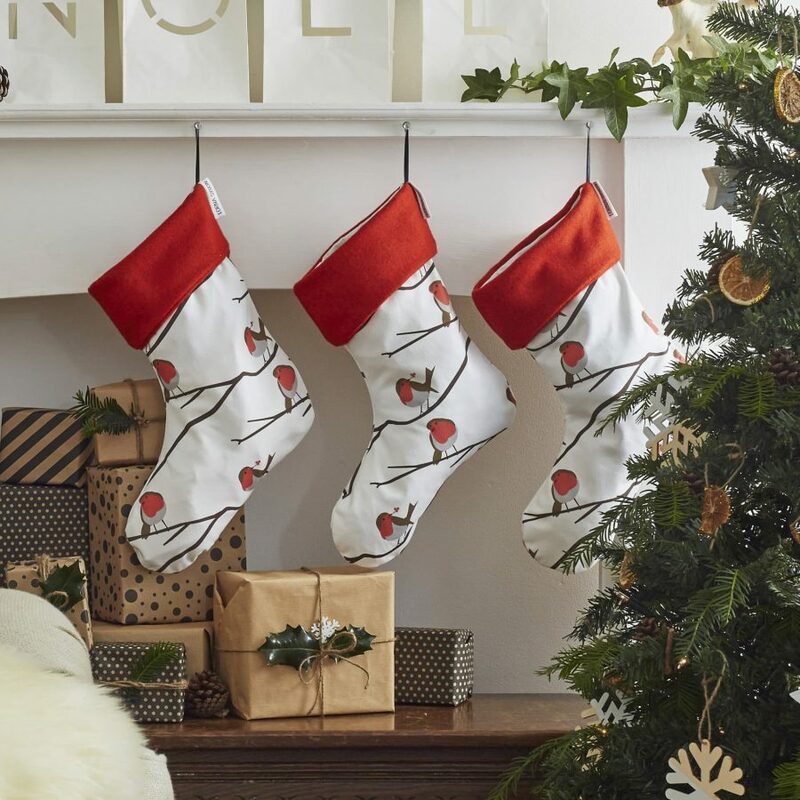 With plenty of room to fill with goodies, our stockings are sure to be a family favourite which will create it’s own traditions and continue to be brought out year after year. 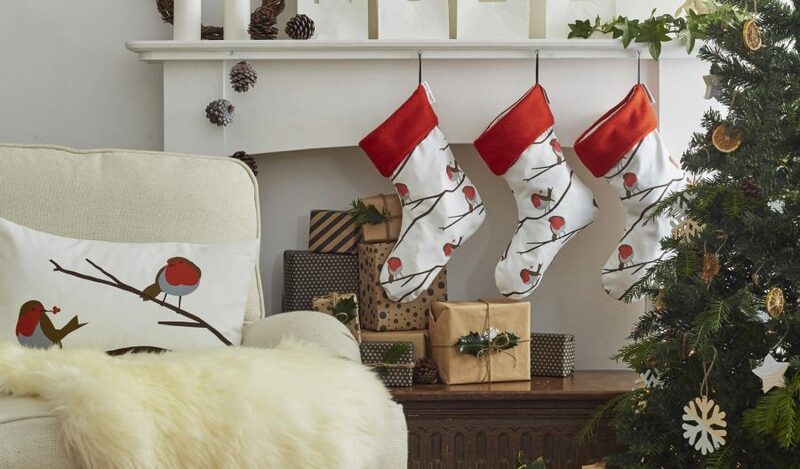 The Robin design is a firm favourite for Christmas and all year around. A regular visitor to Lorna’s childhood garden, the Robin is a familiar and endearing bird. Spotted throughout the year in town gardens and country hedgerows, they make charming, inquisitive companions. However, its at Christmas, when their red breast and delightful song cuts through the winter frost and Robins are welcomed merrily as festive guests. 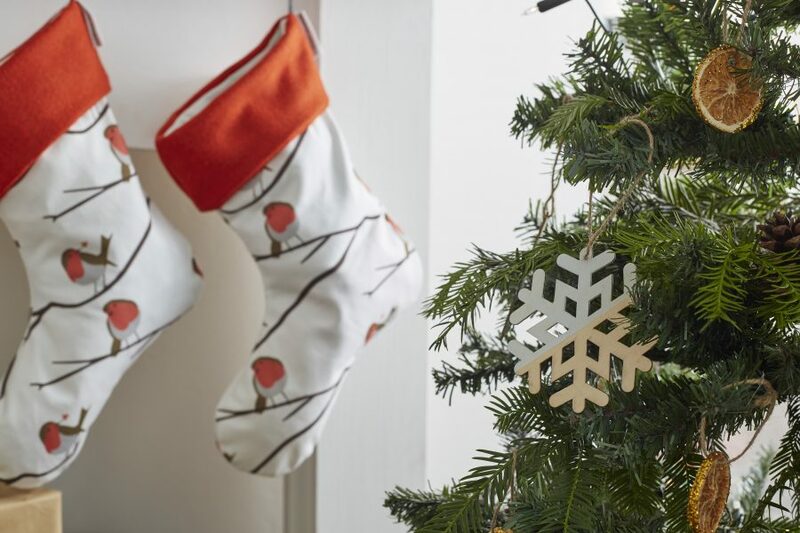 She recalls their vivid colouring and cheerful nature in this series of printed accessories, a favourite at Christmas and all year through.